This is how all doctor offices should operate. I received a referral from our regular dentist office, Jones Family Dentistrythat is also top notch and operate in the same format. Smiling faces, professional, organized, technologically advanced office...waiting for you when you arrive. Dr. Curtis explore all options for the patient to choose what they feel is best for their situation, and then have a discussion about treatment. Just an overall "high five" to Dr. Curtis and his supportive staff. This is how all doctor offices should operate. I received a referral from our regular dentist office, Jones Family Dentistry that is also top notch and operate in the same format.Smiling faces, professional, organized, technologically advanced office...waiting for you when you arrive. Dr. Curtis explore all options for the patient to choose what they feel is best for their situation, and then have a discussion about treatment. Just an overall "high five" to Dr. Curtis and his supportive staff. Dr Curtis and his staff were a dream! The office environment was positive and comfortable... even for my 4 year oldtwins. We were all nothing but smiles from the point we entered to when we left! Dr Curtis was trustworthy and honest and we appreciate his kindness and knowledge. We saw him for a second opinion and he will now be our families first option. Dr Curtis and his staff were a dream! The office environment was positive and comfortable... even for my 4 year old twins. We were all nothing but smiles from the pointwe entered to when we left! Dr Curtis was trustworthy and honest and we appreciate his kindness and knowledge. We saw him for a second opinion and he will now be our families first option. Dr. Alan Curtis is a native of Tempe, Arizona. 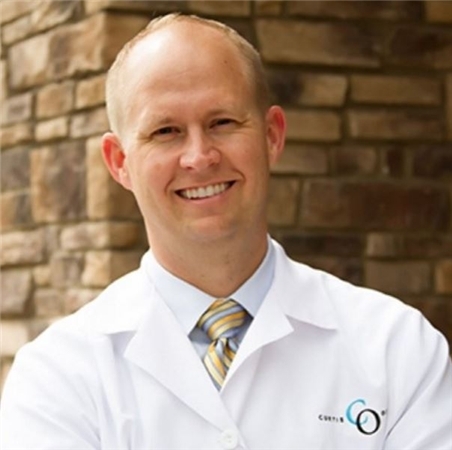 Dr. Curtis graduated from Brigham Young University with a Bachelor of Science degree. Scoring in the top one percent on the dental admissions exam, he completed his dental degree at the UCLA School of Dentistry. He then completed two additional years of specialty training in orthodontics at Baylor College of Dentistry, Texas A&M University, where he earned a Certificate in Orthodontics and a Master of Science degree in Oral Biology. Dr. Curtis is an active member of the American Association of Orthodontists, Arizona Orthodontic Study Group, the Pacific Coast Society of Orthodontists, American Dental Association and Arizona Dental Association Dr. Curtis is an adjunct faculty member at A. T. Still University Post Graduate Orthodontic Residency program. Dr. Curtis currently serves as a Board Member of the Pacific Coast Society of Orthodontists representing the state of Arizona. Dr. Curtis is fluent in Spanish having served an LDS mission to the Canary Islands, Spain. Dr. Curtis and his wife, Christie, have four boys, Alex, Will , Jake and Nate. They are so kind and it was so quick!